“Nothing forced is ever beautiful!” – The famous quote by Xenophon. White Fences Equestrian Center and all its trainers believes understanding this is the first step in training a horse. Our trainers have been working with horses for over thirty years and the training philosophy at White Fences Equestrian Center is a result of these experiences, understanding and patience. All the trainers at White Fences, adhere to classical Dressage principles. We believe that riding must be a source of enjoyment for horse and rider, derived from dedication and hard work. We employ the USDF / USEF Pyramid of Training in our approach and uses it as a basis for discussion with owners. The training staff has been immersed in these ideas and follows that approach and leadership, ranging from starting a foal off at birth to appreciate the companionship of humans to starting a training program that brings a young horse under saddle, to perfecting FEI movements. This wide range of capabilities extends to hunter, jumper and western training including barrels. It all begins with understanding the horse. An awareness of the horse’s physical and mental capabilities, age, experiences, and breeding are the foundations of the White Fences training program. It also incorporates the way the horse responds best to training and of course tailoring this training process to the owner’s goals. While the approach is both systematic and disciplined, we aim to ensure the horse is happy and relaxed in the process of “work”. Rather than looking for quick-fixes, we focus on the long-term success and satisfaction of each rider and horse success. Our experience provides a depth of knowledge of different exercises, movements, training aids and when they are useful. Our focus balances training of the horse, the rider, and the two together. 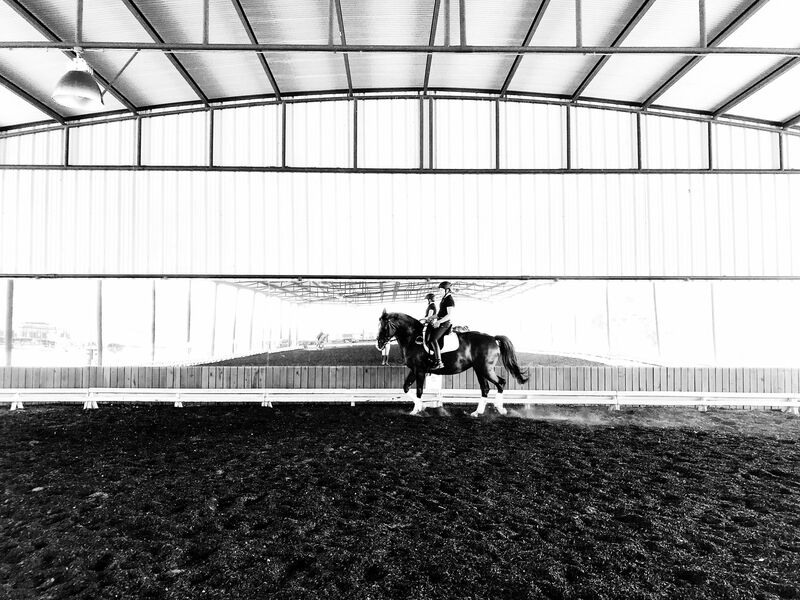 Time has proven this approach is very successful not only to the Dressage horse but also improves the performance of horses for other riding disciplines and activities.A well behaved and secure horse is always a priority at White Fences Equestrian Center. Trust is an easy concept to understand and it is as applicable to humans as it is to horses. Trust with a horse goes two ways; your trust in them and their trust in you. 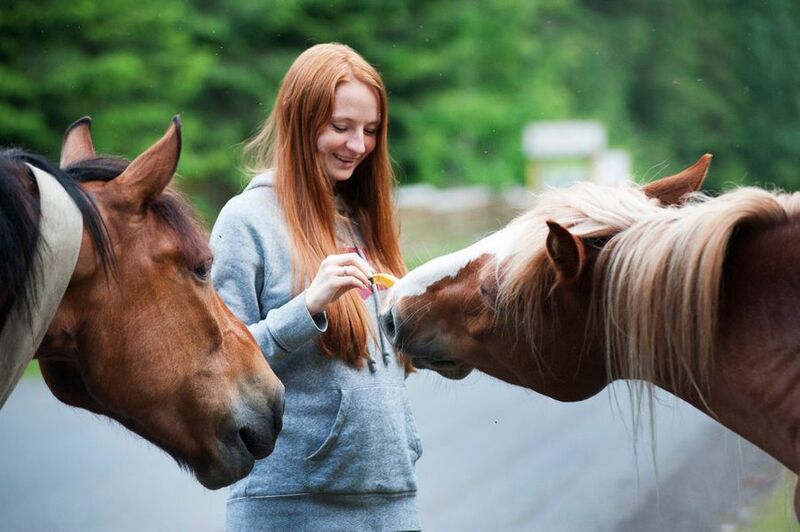 The horse’s trust in you is a little more fragile.Your trust in the horse relates to the foundation, ground manners, training, and quality time spent with the horse. You know how they are going to react to situations. With the proper training based on trust and respect, you can have a horse that you can feel safe and secure with. White Fences offers behavior training that helps your horse to develop, grow, learn and do so in positive manner. The basis for good ground manners is respect. A respectful horse pays close attention to his handler, obeys commands, and is careful not to do things that could hurt his handler. All the training at White Fences is based on establishing respect.Behavior training ranges from ground manners and standing in cross ties, to lunging, trailering, riding and much more. The White Fences team believes these essentials need to be taught to a horse. Whether you are getting ready to show or just to tune up your horse’s skills, we can help you reach your goals. White Fences offers the following training options but working with you, White Fences Equestrian Center will develop a program that will meet your needs, goals, and your finances.